Update: I can’t believe it’s been FOUR years since I first shared this fun treat. 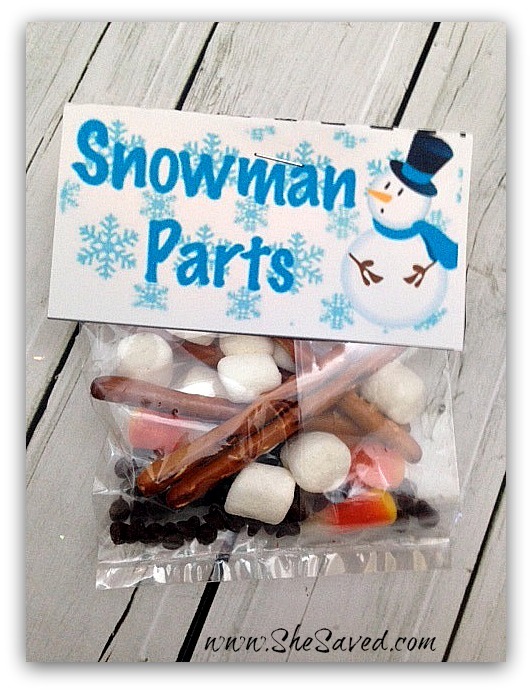 I created it during the FROZEN movie excitement and since that I have heard from so many of you all of the different ways that you have used this little treat mix: birthday parties, craft and bake sales, classroom parties and more. It’s one of my most popular posts and that makes me so happy! Cheers to fun projects like this and I hope you continue to enjoy this fun snack!. I’m headed to L.A. in just a couple of days for the red carpet premiere of Disney’s newest movie, FROZEN (more details here). I can’t wait, and in anticipation of this movie, we are we are rolling out all of our favorite winter inspired creations! I am always up for fun and affordable holiday gift ideas, and this one of our favorites… it’s a fun little project that you can turn into a party favor, gifts for neighbors or just treats for the kids! Putting these fun treat bags together is easy, and you can get as creative as you like with the contents. We used marshmallows, chocolate chips, pretzel sticks and candy corn (you can still buy candy corn here on Amazon OR check local stores, our Walgreens has their candy corn on clearance 90% off) It’s fun to let kids fill their own if you are doing these at a party, or you can pre-fill them and hand them out as favors. 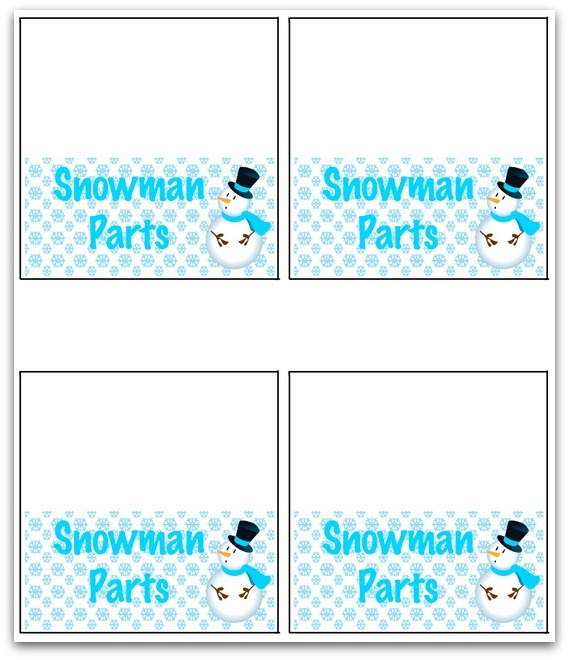 Just go here to print out the FREE Snowman Parts printable that you can cut out and use as packaging. (I prefer to print mine on white cardstock, but plain paper works too!) Cut out the squares and fold them in the middle, staple over your bag of parts, and you have a fun and very affordable wintery treat to share! And while the kiddos are busy eating their snowman snacks, maybe you can sneak in some time to get your online shopping done! I can help you there too! I highly recommend keeping a close eye on the current line up of HOT Amazon Deals, they are still rolling out like crazy! And if you find yourself with a little spare time on your hands, don’t forget to enter all of my current giveaways, there are some great ones! I know right!? My Walgreens had them yesterday for only $0.33 cents a bag, you might check there! This is so cute and looks like so much fun to make. What a great idea!! Thank you so much for the idea and the free download!! Cute idea. I am going to make my labels say, "Do you want to build a snowman?" For this kit, do you just smooch the marshmallows together. Do the stick? So cute! What size bags are these cards made for? I'm assuming regular sized ziolocs would be too wide? If so, where would I find these smaller bags? Thanks. My daughter had a Frozen themed birthday party a few years ago and we did something similar. It war a big hit.